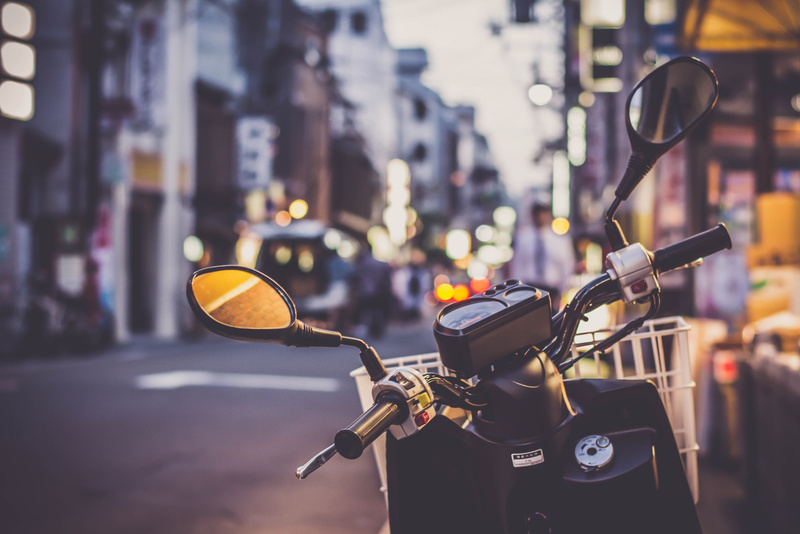 In the last five years, Solid Green has made sustainable transport a priority, successfully encouraging its employees to rethink their transport options, and enabling people to move away from private car use. Marloes, Reinink, Director: In 2013, Solid Green had been operating for two years and had 3 directors and 6 employees. Our offices were located in the hustle and bustle of Rosebank, where we only had 2 parking bays. All our employees drove to work in their private cars, and parking was arranged at a public parking area around the corner from the office. We used my bright green Ford Fiesta as the company car and we had two electric bicycles which people could use for short trips. The three directors lived within a 4-kilometer radius of the office and decided it was time to encourage staff to think differently about commuting to their workplace. Sitting in traffic in the morning is time consuming, stressful, and not a great way to start your day. Today, Solid Green has 2 directors and 11 employees, none of whom drive to work in their private car! We still only have 2 parking bays, but we only use one and the other one is for visitors. What has happened? The company directors set an example by living close to where they work and always thinking differently about transportation. 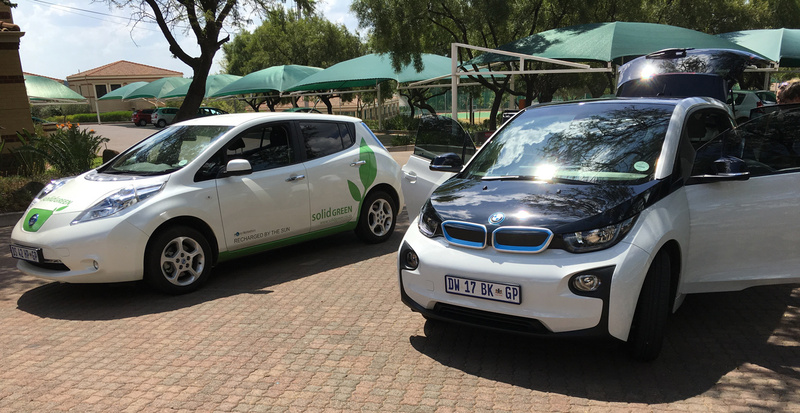 Both directors only have one car per household; and three years ago, Solid Green invested in a branded electric car, the Nissan Leaf, which is used by everyone to go to meetings. The Gautrain is also used to commute to meetings, and a company account has been set up with Uber for meetings if the Leaf is already booked. Our employees no longer use private cars to go to meetings – this is discouraged by management as there are the above-mentioned alternatives. Some of our staff have moved home, and purposefully searched for places closer to the office. We also provide a transport incentive for those people who can use public transport, by paying for their fares when they take public transport. Most of the employees have sold their cars and have realised that there is a financial benefit to not having a car. Our ‘work-from-home’ policy allows people to work from home whenever they want to – on average, people work from home approximately 1 day per week. We also have a flexi-time policy. Employees are responsible for their own projects and can arrive early or late in order to avoid traffic as long as they complete their work as required. My wife and I both live within 4 kilometres of our work and decided to sell one car and share the remaining one. During the week, I uber to the office, sometimes uber back, and sometimes walk (summer only). Other than reducing the impact on the environment, the monthly uber cost is now less than the insurance I was paying previously. It took a little bit of getting used to but I am thoroughly enjoying it. Separating the need for transport from the act of owning a car has been a real eye opener. Location is the major contributor to reducing dependency on car travel. 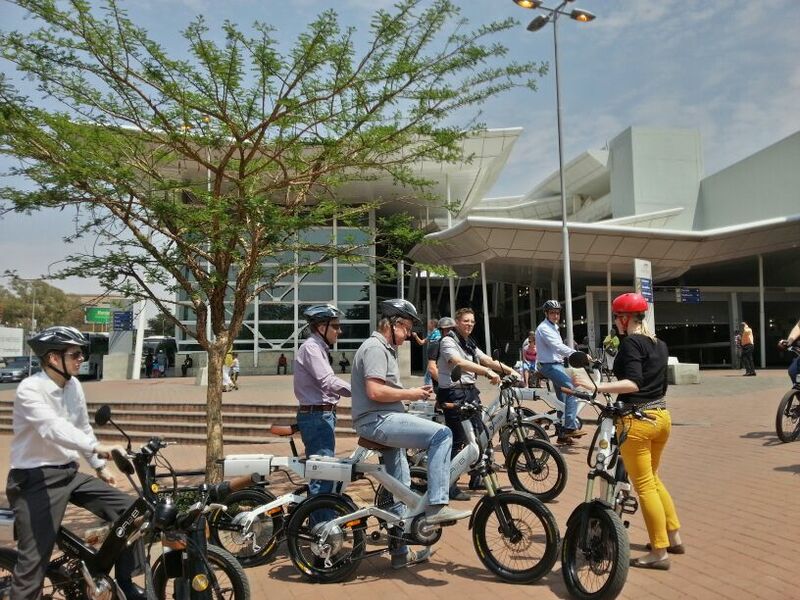 Solid Green is located in the mixed-use hub of Rosebank, a pedestrian friendly node with easy access to the Gautrain, Metro Bus routes and taxi rank. As a leader in the sustainability field, we believe that we should walk the talk. In 2014, my wife and I decided to share a single car. In 2015, we moved within 2km of the office to enable easier travel to the office by bike. At the end of 2016, we moved within walking distance of the office. 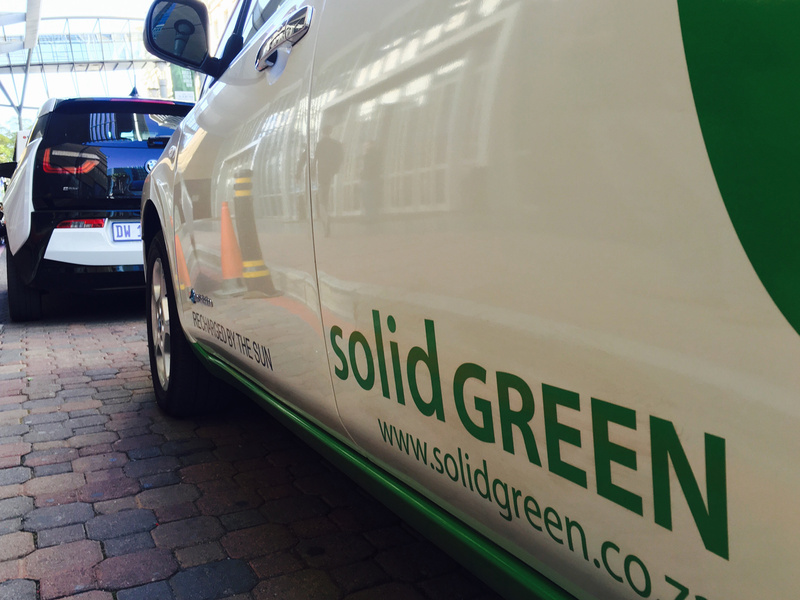 I started working with Solid Green in 2013 as a consultant and commuted by car. The occasional commute to the the office could take 20 to 90 minutes. When I started working here full-time in 2015, I experimented with using a motorcycle and my commute then never took longer than 25 minutes with traffic only having a marginal effect. By the end of the year I had only used the car on three occasions so it was sold. This has saved me the insurance costs, and what I spent on fuel in a week for the car gets me through nearly two months on the motorcycle. And, unexpectedly, I haven’t really lost any utility with the bike compared to the car in being able to move my things around. I am now in the process of buying a flat in Rosebank so I can walk to the office, shops and entertainment. I have owned my car since 2007 and it is now 12-years old and only has 65,000km on the clock, which is a good indication of how I feel about private car use. In 2016, I moved within 3km of the office and started car-pooling with my partner. I now easily walk to amenities that are located close to my house instead of driving. In 2017, I started car-pooling with my colleague, Annelide; and this year, my partner decided to sell his car and uber to work daily. Having only one car takes a little getting used to but, ideally, if we lived in a city where public transport was easily accessible, we would sell the other car in a heartbeat. The additional available monthly capital is also a great gain. I live in Pretoria and when I started working for Solid Green, my husband’s business here was already well-established so I was the one who had to commute. I use the Gautrain. The challenge was driving through to the Centurion Gautrain station in traffic. Two years ago, when we looked for a new home, one of the deciding factors was to move closer to one of the Gautrain stations. We now live close to Pretoria Gautrain station and my train commute is 7 minutes longer, but traffic does not really affect my commute at all. Since returning from maternity leave, I have been working from home most days. The flexibility offered by the company in this regard is hugely beneficial. I attend a bi-weekly informal office meeting and travel to Joburg when I need to meet with colleagues and clients. I have been an employee at Solid Green since 2012. Being one of the first employees and a woman, I had a dedicated parking bay. As the company grew, we all started parking in free public parking around the corner or in the streets in Rosebank. In 2016, I sold my car and in 2017, Jesse moved to within 2km of my home. Solid Green offered to pay for our Uber trips every time we carpooled to and from work. It took a bit of time and planning to coordinate our schedules but, with this helpful incentive, we are now able to carpool every day and work from home on Wednesdays. Solid Green has been a leader in driving sustainable transformation in the building industry but also in the daily life of its employees by implementing what we stand for. Solid Green has encouraged us to transform our behaviour regarding transport associated with commuting to work and meetings, and has helped to change our mindset and behaviour related to the environment in our immediate context. Well done to the staff & management of Solid Green! What a great example of lead by example.